On Wednesday, 27th June, we conducted our annual survey of the skylarks Alauda arvensis and meadow pipits Anthus pratensis at Jersey Airport. 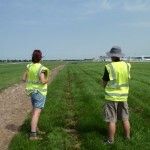 This is one of the hardest monitoring exercises we undertake each year as, even after we’ve gone through security clearance and been scanned before going out onto the grass, we have to trudge through the long grass left by the airport’s management regime. 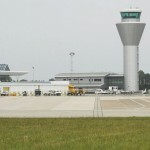 The airport is obliged by law to manage its entire site to dissuade large birds from coming into proximity of the aircraft and the length of the grass throughout the area is very important. All bird-friendly plants are discouraged too but strangely both skylarks and meadow pipits seem to thrive here. In fact, Jersey airport is now the major site for breeding skylarks in the Channel Islands. 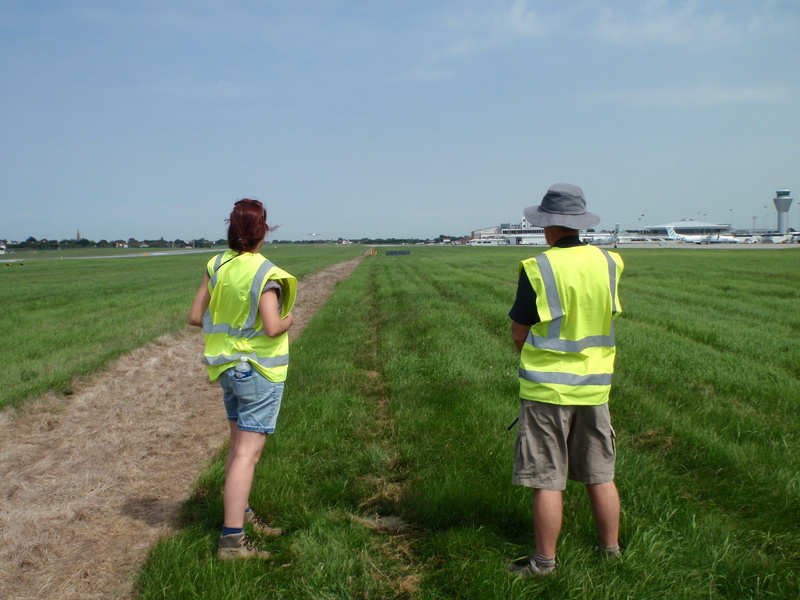 The skylark team, Tony Paintin, Mick Dryden, Hester Whitehead and Glyn Young set out to walk in a line the grassy areas of the airport either side of the runway but must be very visible at all times and keep in radio contact with air traffic control throughout. 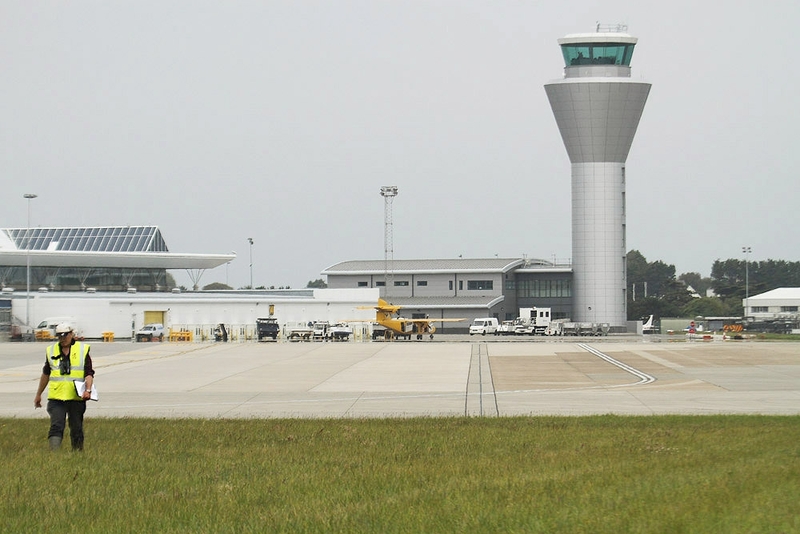 There are very sensitive areas that the team cannot enter and we all have to withdraw to a safe point when an aircraft is landing, taking off or taxiing. Quite what passengers and air crew think of the team sitting patiently in the grass is anyone’s guess! We walk out in a line and record each lark and pipit, typically flushed from under our feet or high above our heads singing. It is pretty obvious though that the larks can land in the grass and not budge as we walk past (or over?) them. Whatever the failings in our technique are though, we have used the same methodology since 2006, and we are beginning to see a trend in numbers developing. This year we counted 30 larks, our lowest figure but future counts will show the exact significance of this more clearly as in other years, particularly 2011, we may have recorded young birds of the year whereas this year the weather has been so bad that there may have been little breeding or the season may be delayed.